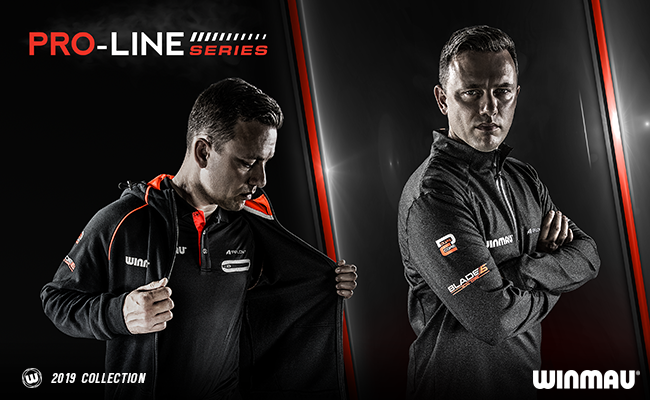 Spanning 25 years of technological development, The Blade is universally recognised as the World’s most advanced, staple-free, bristle dartboard. 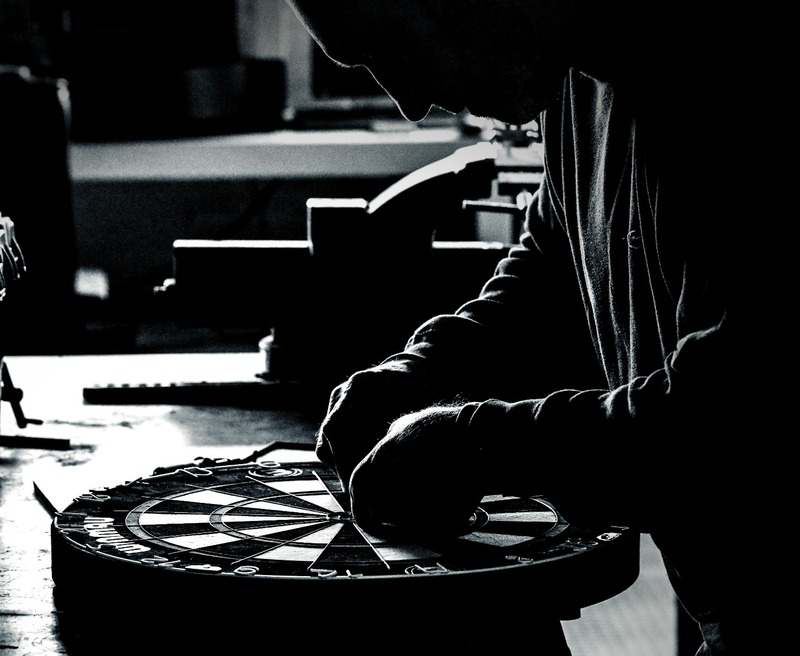 Since first launch in 1997, there have been five generations of Blade dartboards, each pushing technological boundaries and continuing the pioneering craftsmanship that sets the Blade apart from any other board on the market. 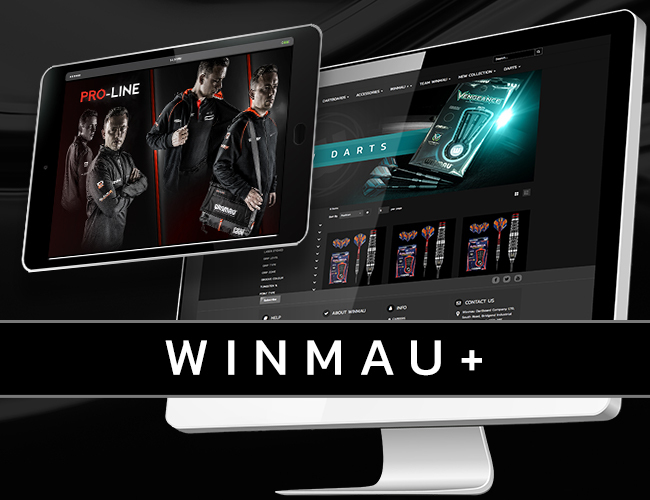 We caught up with Winmau’s Production Director, Lee Huxtable, to get a deeper insight on the 25-year history of Blade development and the ethos behind its advancement. “Lots… In the beginning our goal was simply to produce a dartboard with a completely staple free surface. Traditional dartboards utilise 40 + staples to secure the web, each one representing a potential bounce out and lost score. Focus has basically been on continual improvements ever since. When we moved from Blade 2 to 3 we were focussing on removing ‘dead spots’ on the web. Blade 3 proved to be a very successful dartboard and still has many followers. When we launched Blade 4, we moved away from the floating web so that we could incorporate thinner wires. 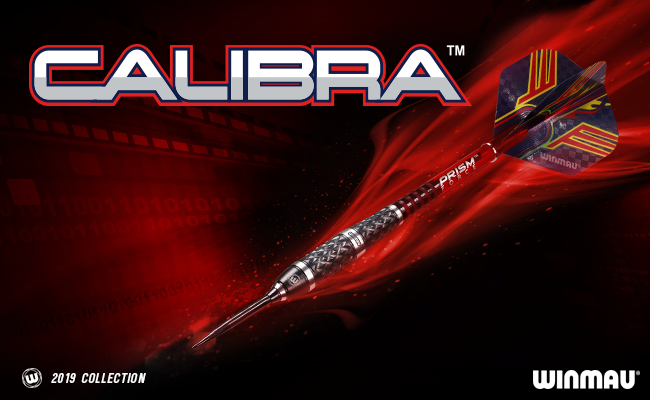 Then, in 2013 we developed and patented the revolutionary Dual Core concept which had a massive impact on the world of professional darts. 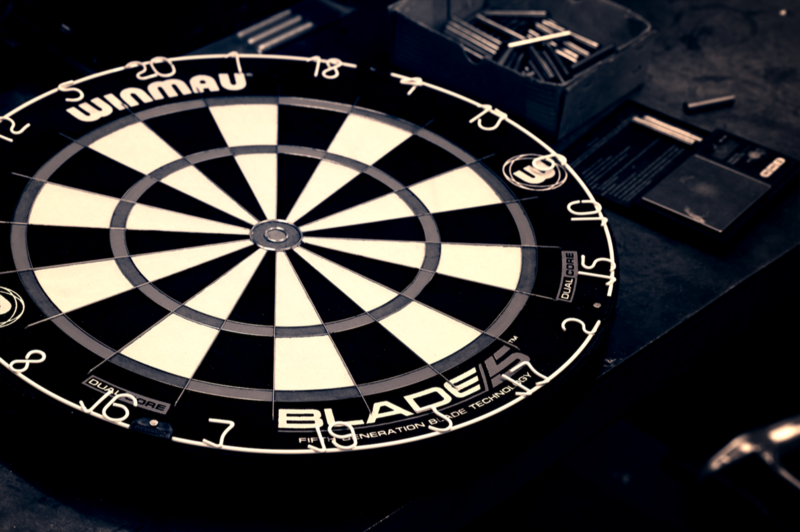 With Blade 4 firmly established as the best dartboard by leading professionals on the circuit, it was somewhat challenging to find the improvements to warrant a Blade 5. We decided to focus on a complex hardening process in the bullseye and 25 ring areas, as well as further reduction in wire sections and an innovative adjustment to the Blade angle. Changes to our flagship dartboard don’t always just affect the web though. Blade 5 also incorporated our unique ‘Rotalock’ system." This continuous advancement in dartboard evolution keeps Winmau in the forefront of the ever-growing, global sport of darts. Blade is also renowned as the most durable dartboard on the market, produced from Kenyan sisal. “Sisal is one of the most widely used natural fibres in the world and boasts an inherent strength and durability. Each dartboard consists of over 2 million of these prime fibres, each individually lubricated and compacted with over 10 tons of pressure by our highly skilled workforce. 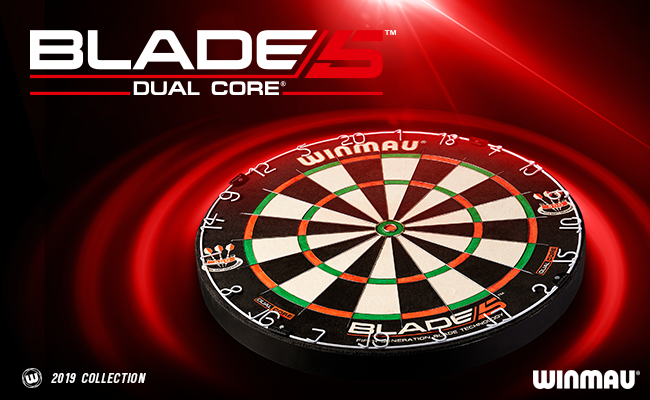 In 2013, Winmau announced the most ground-breaking innovation in dartboard base construction for a generation – The Blade 4 Dual Core. 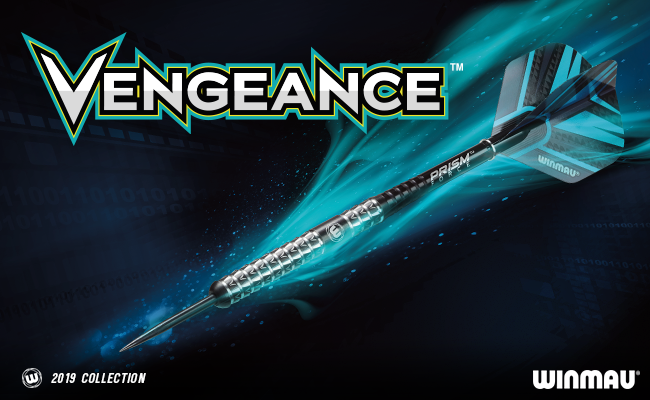 Dual Core technology incorporates a lower compression of sisal at the outer core, which allows easier penetration of the dart point for fewer lost darts and higher scores. The higher compression at the inner core increases resistance below the surface, absorbing excess kinetic energy for improved durability. “At the time we were brainstorming ideas on long term durability and extreme, heavy play conditions. Generally, this can be achieved by increasing the density of the base, which prevents a dart point from penetrating too deep into the fibre. However, excessive compression results in ineffective dart point penetration and drop outs. When Harry Kicks started The Winmau Dartboard Company in 1946, he could never have foreseen that some 50 years later, the company would embark on a 25 year project resulting in the now iconic Blade Series of Dartboards. Now, in 2019, with global prize funds running into tens of millions of pounds each year, the importance of dartboard performance and functionality has never been greater. 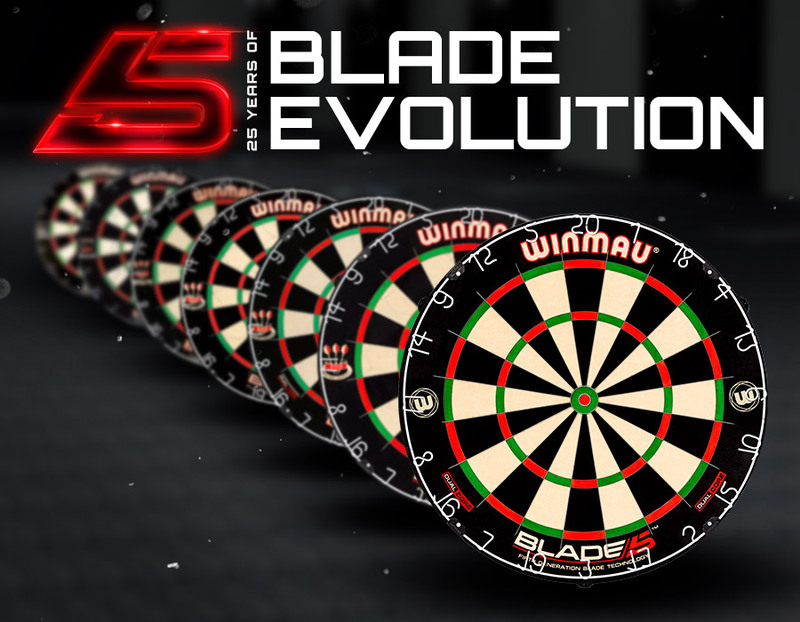 It is testament to Winmau’s passion, craftsmanship and unwavering desire to push the technological boundaries that Blade 5 stands as the pinnacle of dartboard innovation and the most popular board of choice throughout the Darts World.